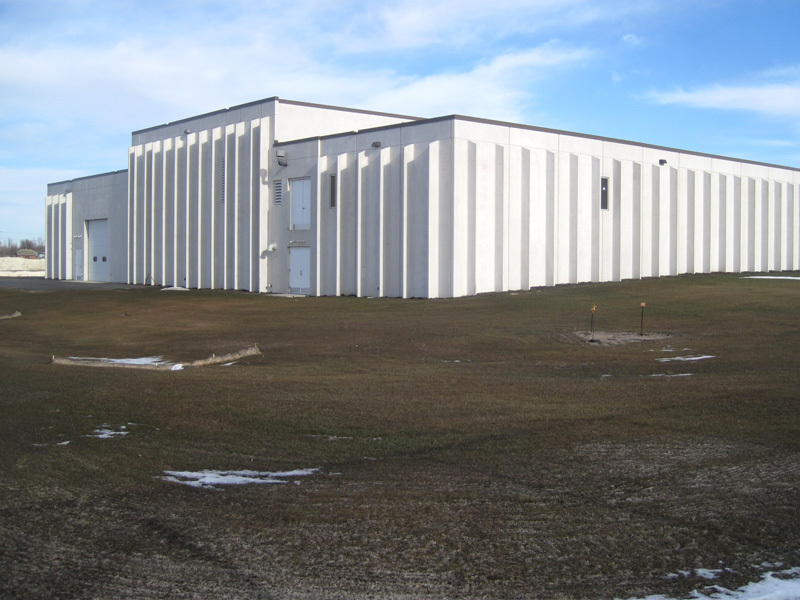 Watertown Municipal Utilities (WMU) administers the water utility within the City of Watertown, South Dakota. 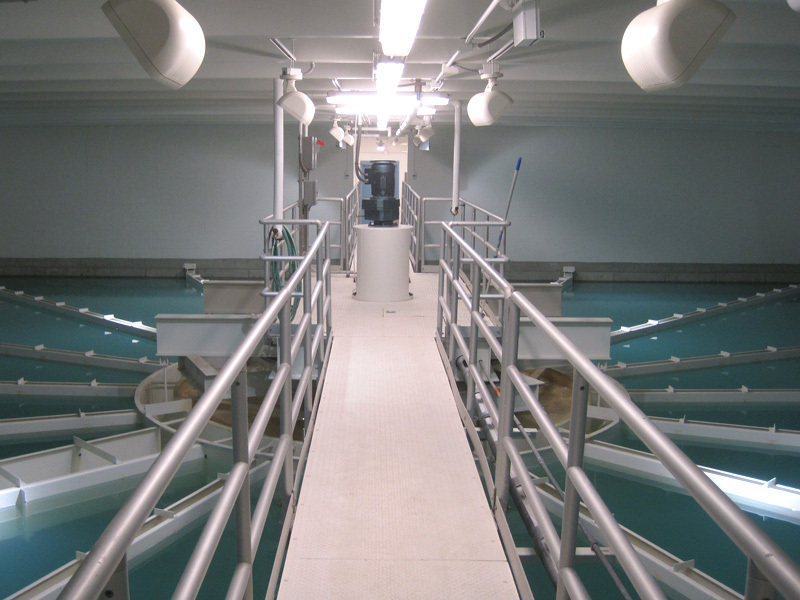 Due to compliance issues with increasingly complex surface water regulations and concerns over elevated concentrations of disinfectant by-products (DBPs), along with the age of many components within the Lake Kampeska WTP, the continued use of the surface water became less attractive to Watertown. 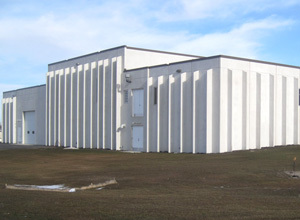 Additionally, the aging infrastructure within the WTP also created reliability and operation and maintenance issues for WMU. 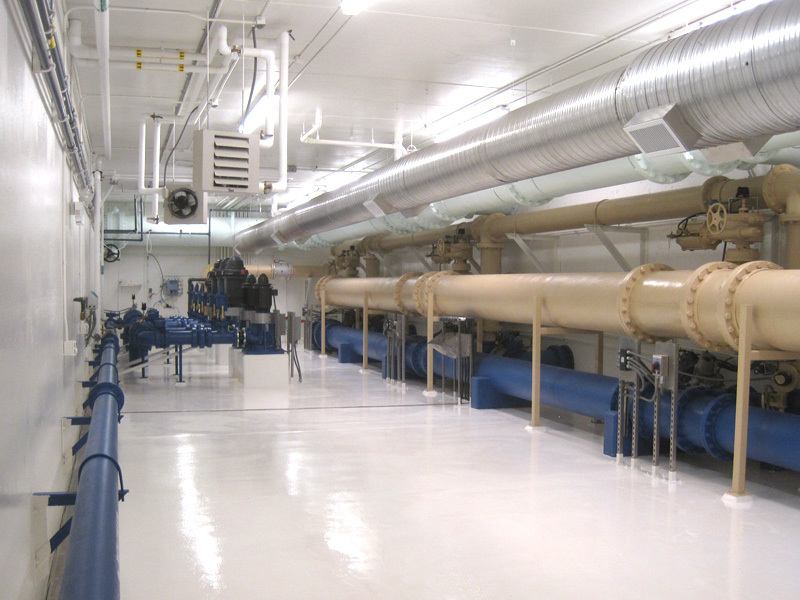 As a result, WMU retained AE2S in March 2007 to provide facility plan preparation and design, bidding, and construction phase services for a 6.8 MGD expansion of the existing WTP, along with a new well field consisting of nine wells, and a 24-inch raw water transmission pipeline. 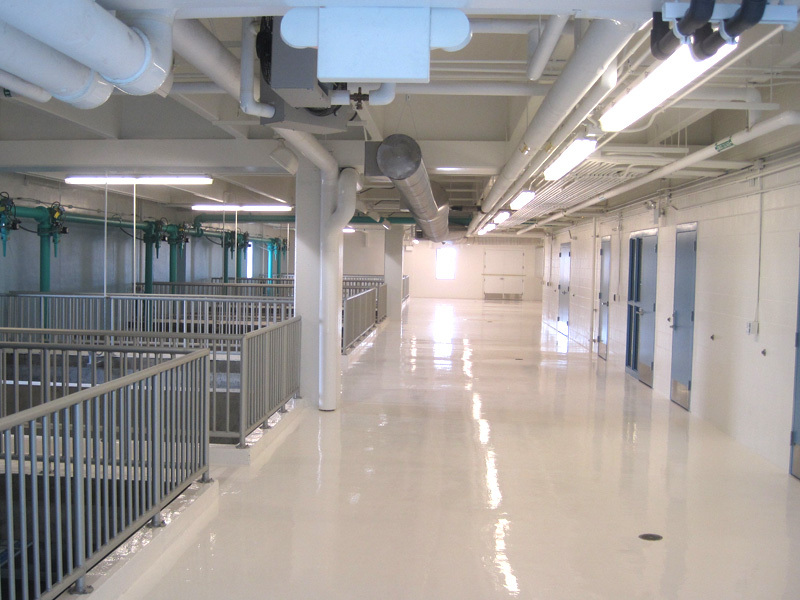 AE2S prepared a Facility Plan in 2007 that outlined the concerns within the WMU water system. 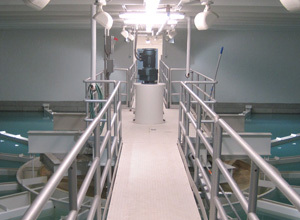 Based on the concerns outlined in the Facility Plan, WMU scored the highest in the priority point ranking and, ultimately, the South Dakota Department of Natural Resources and Environment (SD-DENR) awarded WMU $23.76 million in Drinking Water State Revolving Fund (SRF) money for these improvement projects in March 2008. 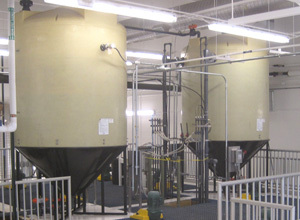 AE2S conducted two pilot tests (one on lime softening followed by nanofiltration and the other a magnetic ion exchange process known as MIEX followed by lime softening) to determine the most feasible alternative for removal of the dissolved organic carbon (DOC) in the groundwater and minimize DBP formation. 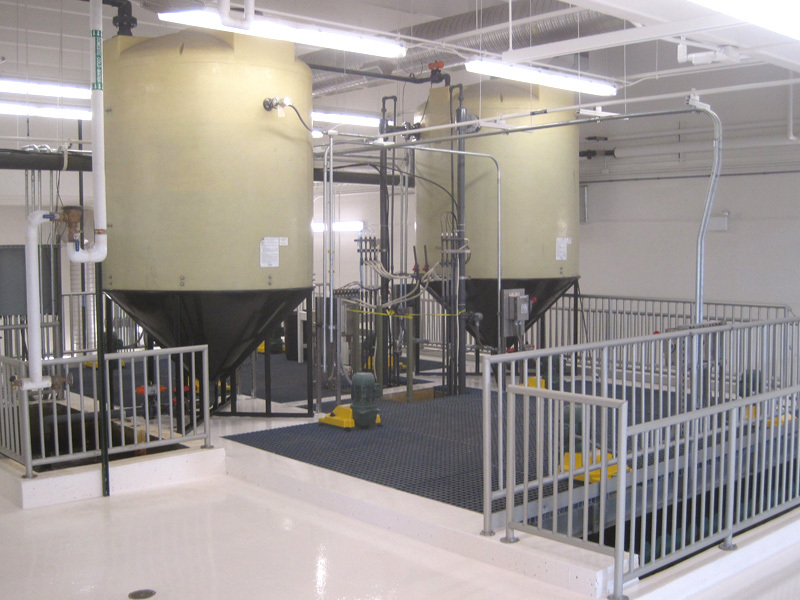 Based on the study results and estimated capital costs for the two treatment processes, the MIEX treatment process was selected as the treatment process to be used for reduction of DBPs in the Watertown WTP expansion. 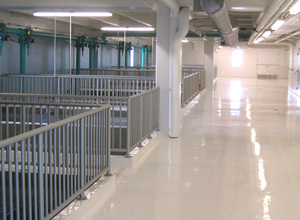 The design of the WTP portion of the project commenced in the spring of 2009 and the construction of the new 6.8 MGD WTP was recently completed in September 2011. 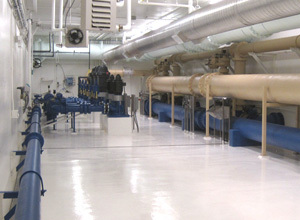 It should be noted that due to the high quality of plans and cost savings during the bidding of the WTP, well field, and raw water line, additional funding was available, which WMU used to construct a new 1.0 million gallon composite water tower, construct nine new lime sludge ponds, and upgrade three existing booster stations.